About Company: The Services Selection Board has been constituted in exercise of powers conferred by Provision of Section 124 of the Constitution of Jammu and Kashmir. The Rules have been made under SRO 194 of 1992 as amended upto date. The Rules are applicable to the following Non-Gazetted categories of posts. 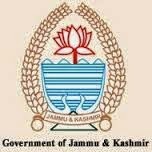 How to Apply: Eligible Permanent residents of J&K State can apply online.